There are few communities that exist in the United States today that are as unique and distinctive as the Gullah people. The Gullah are the descendants of enslaved Africans who live in the Lowcountry region of South Carolina and Georgia, including both the coastal plain and the Sea Islands. These descendants work daily to preserve their one-of-kind heritage, complete with their own language, customs, culinary traditions, rituals, and folklore. The cultural identity of the Gullah has been shaped by over 250 years of African and American traditions and is an important part of the South’s rich history. 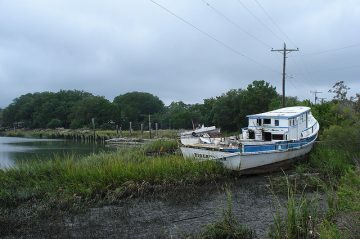 The Gullah people and their language are also called Geechee, which some believe is related to the Ogeechee River near historic Savannah, Georgia. When visiting the Peach State, be sure to check out the museums, local tours, and research centers that are dedicated to educating guests on this incredible heritage. Here are some things you should know about Gullah Geechee culture. By the middle of the 18th century, thousands of acres in the Georgia Lowcountry and the Sea Islands were developed as rice fields, and the skills of the enslaved African farmers made rice farming one of the most successful industries in early America. However, many of the tribes working these rice plantations were forbidden to speak their tribal tongues, and thus developed their own language, mixing elements of English and their native languages to form Gullah. This creole language contains many words from the African language and has similar grammar and sentence structure. The term “Gullah” was originally used to designate this variety of English spoken by Gullah Geechee people, but today is used to formally refer to their distinctive ethnic identity. The name Gullah has come to be the accepted name of the islanders in South Carolina, while Geechee refers to the islanders of Georgia. These Georgia communities are distinguished by identifying as either “Saltwater Geechee” or “Freshwater Geechee,” depending on their proximity to the coast. Because of a period of isolation in rural areas, the people living on the Gullah Islands developed a culture that has preserved much of their African heritage. Gullah storytelling, rice-based cuisine, music, farming, and fishing traditions all exhibit strong influences from African cultures, and many of these traditions can still be seen throughout the Georgia Lowcountry. Red rice dishes are a quintessential Southern favorite, and handmade sweetgrass baskets and crafts have become popular souvenirs for tourists. The immense effort of the Geechee people in the rice industry has helped make Savannah the thriving city it is today. When in the area, book your stay at the Presidents’ Quarters Inn and plan a tour that focuses on African American history. Right outside our door, you can explore historic churches, hit a heritage museum, or enjoy some comforting soul food. You’ll leave Savannah with a newfound love and appreciation for the South’s past, and for the wonderful Gullah Geechee people. For help planning your next trip to the Gullah Islands and Savannah, Georgia, download our free vacation guide. Where are the Best Savannah Christmas Lights? — When Is the Best Time for a Savannah, GA Vacation?